The Singapore Open is one of the funnest tourneys i've ever been to. I don't know if it's the sweet fields right at the hotel, the free Nike gear they hand out (thanks Bob! ), the fantastic grub, or the Malyasian reggae band at the beach party, but Singapore does it right. 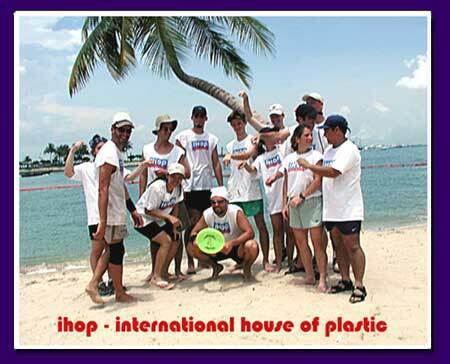 Our team, ihop, (international house of plastic) went a glorious 1-4 at the tourney, but we still managed to beat j'rad's team from China, which is what it's really all about anyway.